Behold! The sucker is finished! Though honestly it didn’t take a very long time for me to finish it up. It was a simple costume and a total BLAST to wear. In retrospect, I looked like a cross between an extra from Flash Gordon and a He-Man villain. But I’m alright with that. Be prepared folks, I have a TON of photos since I went both nights instead of one. LoJ, as usual, was insanely fun! This year I went two nights… mainly because I wanted to go two nights. Though I think next year I’ll be returning to just going on Friday. 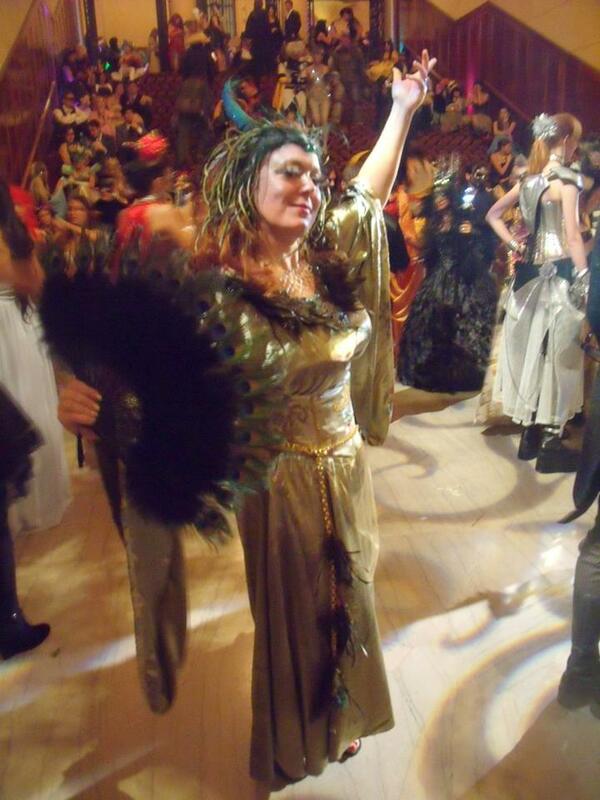 I truly love the mellow atmosphere of the Friday Ball. That and I just want to concentrate on one costume at a time. Here’s a recap of our crazy night! My Make-up for Both Evenings. 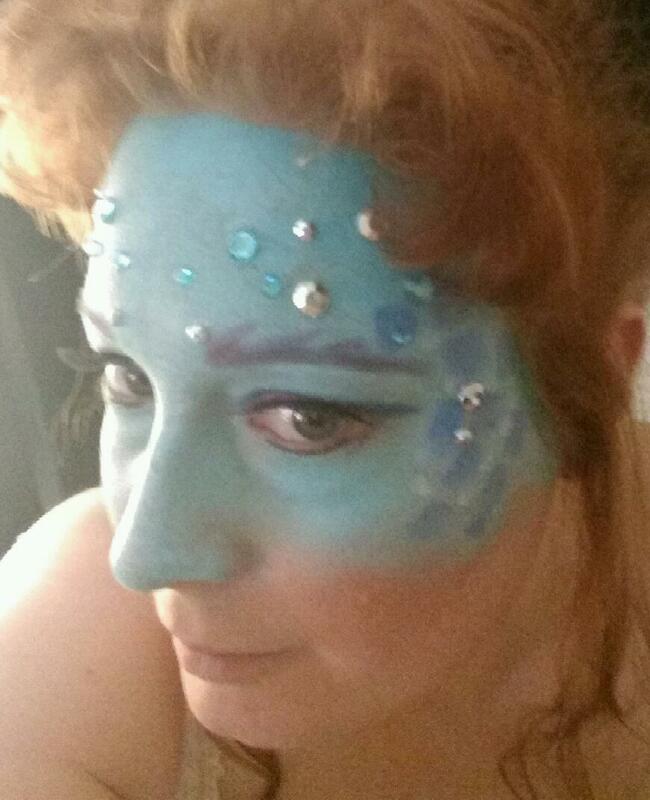 Siren Maiden (thank you to Jennifer Anderson for designing and applying this makeup!) and my Fish Lady. 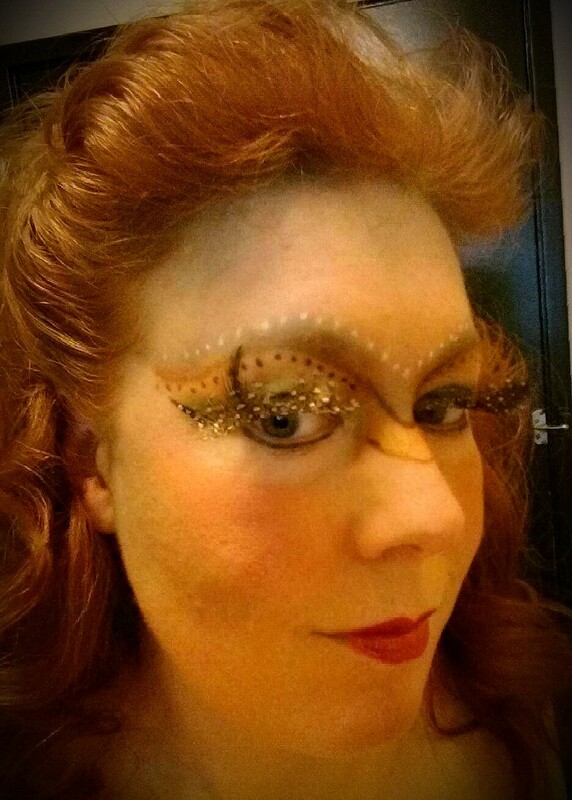 Loved my eyelashes for my Siren Maiden! The grand staircase at the ball. Its my favorite room. And of course, my fabulous friends. Katie in her ball gown. 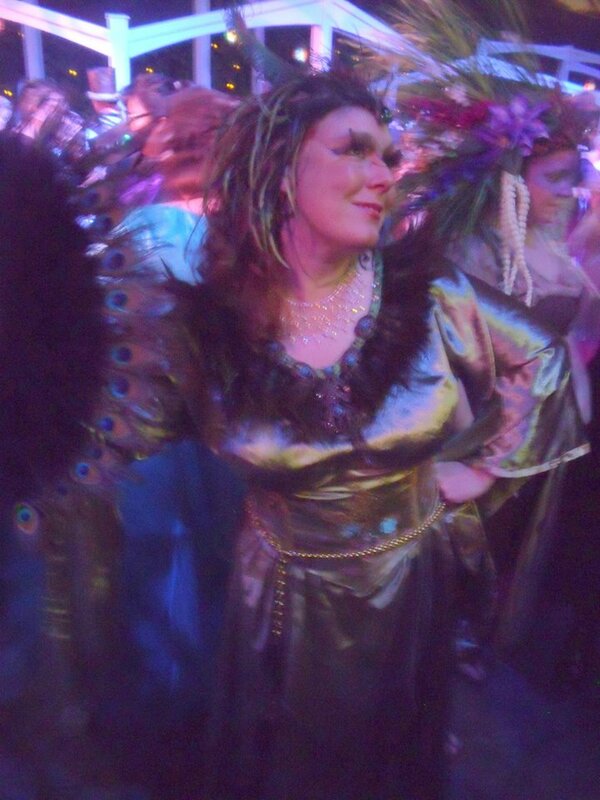 Me in my Fish lady costume with new skirt and added gauntlets. Ace as her death Priestess. 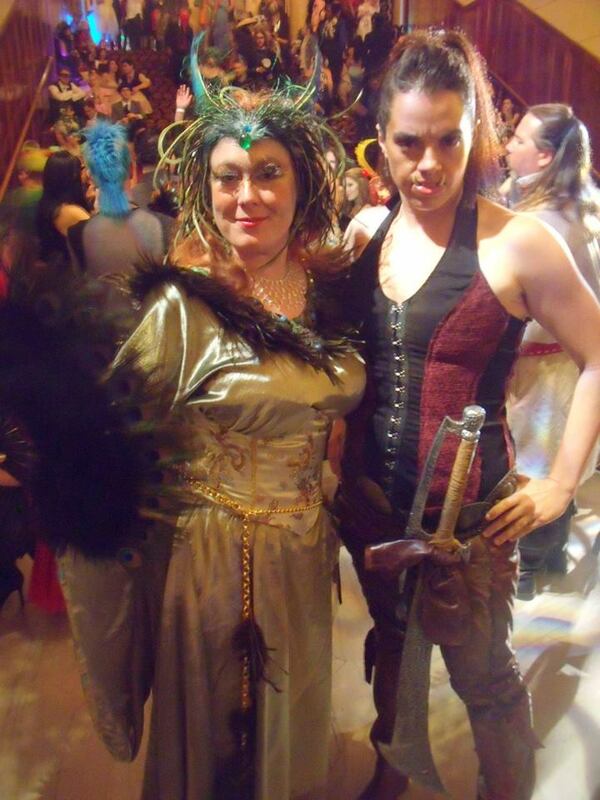 Triona and Henrik in their steampunk finery. Saturday Night Ladies. Ty as a Vampire. Katie as the Junkyard Fairy. Eugenia in her steampunk finery. Michelle as a sea witch. 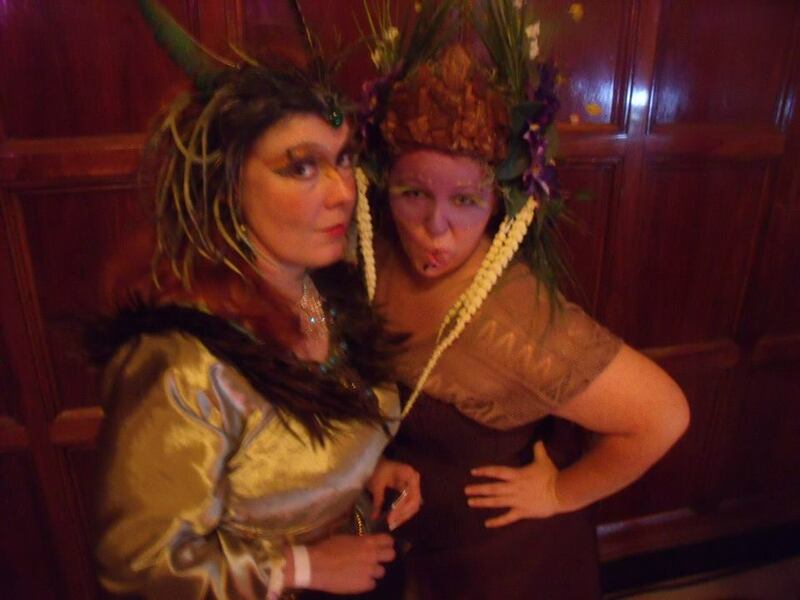 Trish as a barbarian with Katie. Triona as a Cat Goddess and Henrik as a Gargoyle. AMAZING! The Whole Saturday Night Crew! After this break I’ll be working on my Game of Thrones/SCA cross over project. ← Labyrinth Ball 2013: Siren Maiden.